Taxpayers eager to get their refunds can take steps now to prepare their returns. 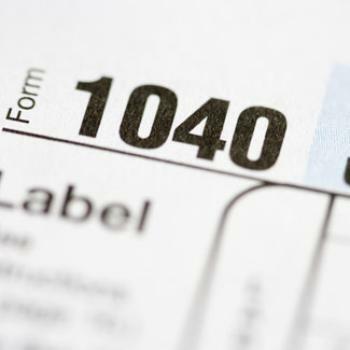 The Internal Revenue Service (IRS) says it will begin accepting 2016 tax returns Jan. 23. For yet another year, the tax filing deadline has been extended to Tuesday, April 18 because of the Emancipation Day holiday in Washington, D.C. If you are e-filing your return, one of the things you can do in advance is to submit the return to your software provider. It will hold the return until the IRS is ready to receive it. To speed the process, the IRS says taxpayers should not wait until Jan. 23 to contact their tax preparer. Last year the tax agency sent out 111 million individual tax refunds. This year it said it expects more than 70% of taxpayers to get a refund. If you are claiming the Earned Income Tax Credit (EITC) and the Additional Child Tax Credit (ACTC), remember that the IRS will hold refunds until Feb. 15. Electronic filing is becoming the preferred system, with 80% of this years returns expected to be filed that way. Taxpayers who are doing their own taxes are urged to plan ahead and take advantage of the online resources found at IRS.gov. The IRS says the combination of e-file and direct deposit for refunds is the fastest and safest way to get your money back. Using that combination, the agency says, nine out of 10 refunds should find their way to taxpayers in less than three weeks after filing. The Free File program, available at the IRS website, opens Friday, Jan. 13. About 100 million individuals and families with incomes of less than $64,000 may use commercial tax-filing software at no charge. Meanwhile, all taxpayers will have free access to online fillable forms on the IRS website.